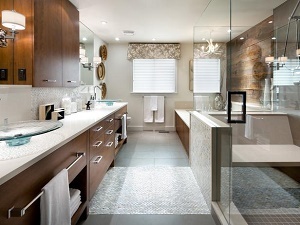 Shower glass is the focal point of every bathroom. 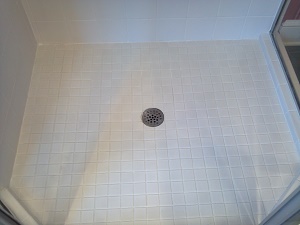 Beautiful, spotless shower glass makes a room feel open and clean. Because it is such a focal point, damaged and stained glass can can ruin the look of the entire bathroom. Keeping glass looking clear and new is a daily chore, requiring a squeegee after each use. After owning clear glass shower doors, most people will say that they wish they would have just gone with a shower curtain. HydroShield of Denver has the solution! With a single application of HydroShield Glass Protection you will have peace of mind knowing that your shower glass will stay looking new and clear for years to come.